After the jump I realized that it was really the wait that killed you - the jump itself was not at all scary. You only had to get over the fear of actually doing it, of actually deciding to jump off that ledge, and the most amazing adrenaline rush awaited. The fear before the jump though, is really part of the fun. Note: as the title indicates, this is a remix of sorts, based on this post about my bungee jumping experience. So some paragraphs may seem familiar. 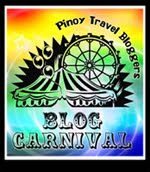 Furthermore, this is my entry to Pinoy Travel Bloggers' Blog Carnival for March 2012 with the theme "Leap of Faith: When Traveling Changed My Life," Reiza Dejito of Wander If You Must hosts this edition of the blog carnival. Flanked by two friends (Mabz and Edz! You let me go up alone and sh**-scared to the top of Macau Tower so I could jump right off it, but you guys watched and waited patiently from the ground floor and I guess that was enough and all I could ask for! Thanks for keeping up with all my crazy! Because you guys are crazy too! Haha.) we visited Macau Tower bright and early on the official first day of our trip, having arrived in Macau the night prior. To be honest, I was hoping for bad weather - because I heard that you couldn't do the bungee jump in bad weather. Yes, some part of me really didn't want to do it. But the universe would have different plans as the sky was clear and pretty that day, which meant I was really going to do it. I was really going to freaking jump to my potential death. The staff overseeing the viewing deck must have noticed that I was about ready to burst into tears, so he talked to me a bit, showed me the side of the building where I was going to jump, and assured me that I was going to be okay, and that I was going to want to jump again after I did it. I didn't believe him then, but I can tell you now that it's true - it's been a year since the jump and I would really want to do it again (and I hope to do it again, maybe in New Zealand next!). After a while I kind of just thought, "F*** it, let's just get this over with" and proceeded to the top floor where the AJ Hackett headquarters was. They made me change my shirt and suited me up, and pretty soon it was time to jump. I vividly recall standing on the edge of the tower, all geared up and ready, hands outstretched with my neck tilted up because NO THANK YOU I REALLY DID NOT WANT TO LOOK DOWN RIGHT NOW. I remember gasping for air because HOLY S**T I WAS SO HIGH UP AND PRETTY SOON I WAS GOING TO JUMP and I remember my fight or flight reflex kicking in for a millisecond, and for a millisecond I thought about stepping back to ask for more time, but I didn't want to be a wuss and I knew that if I backed out then that it would be that much harder to actually jump, so for the nth time that morning, I thought "F*** IT, LET'S REALLY JUST GET THIS OVER WITH!". I remember leaning my body forward slowly, leaning forward just a little bit, and before I knew it, gravity was doing all the work, and I was falling and falling fast, with the most amazing, exhilarating feeling EVER. It wasn't like riding a roller coaster that made your stomach turn and churn with G forces, it was just... free falling, and this will probably sound cheesy and silly but I recall thinking "FREEDOM!" as I fell fast. Because I had jumped from so high up, there was actually time to revel in the moment, and it didn't go by as fast as I had expected. If you're going to bungee jump, it's best to jump from as high up as possible to make it totally worth your while. After a while I had to deal with the recoil of the bungee cord, so I had to stretch up to reach my feet and pull on a chain that released the hold of the cord on my legs, so that I was only connected to the cord from the waist and was falling right side up instead of head-first (it's more comfortable since all the blood doesn't rush to your head). I wasn't even scared to release my legs - after you jump from a height of 233 meters you start to not get scared of a lot of things. It's amazing how a few seconds of free fall can change your perspective on life. After the jump I felt fearless, up for any challenge, game for anything. I guess it helped that I'm a Type 7 Enthusiast by nature, and that in your 20s, you feel like the whole world is at your feet, with opportunities laid out before you, waiting to be conquered. The effect post-bungee wasn't a sort of reckless abandon or an incessant need for an adrenaline rush - rather, it was a vivid desire to explore, to discover, to experience, to live. Traveling does that to a person, I guess. It opens up one's eyes, widens one's perspective, lets you realize your place in the world not so that you can feel small and insignificant, but instead so you can realize the depth and breadth of humankind and the moments you can experience as a part of it in every corner of the world, if you just take a leap of faith, escape the familiar, step out of your front door and get out of your comfort zone. 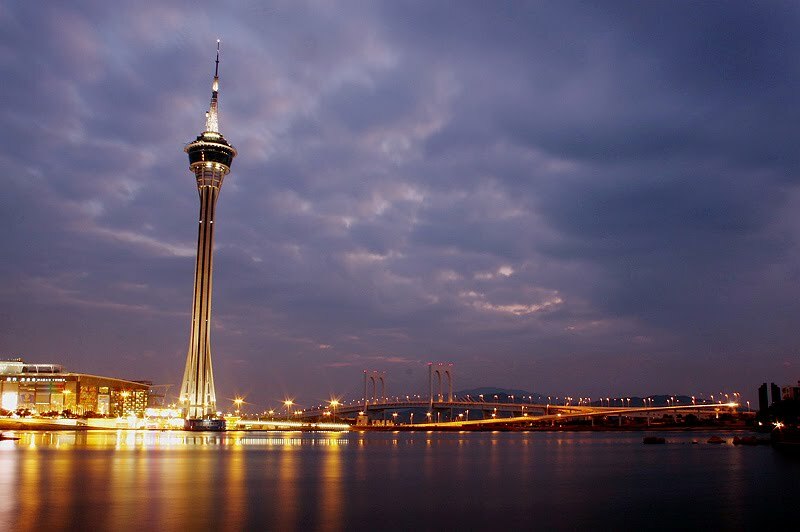 Macau Tower, I conquered you! last picture taken from here. Oh my God that is really scary thing to do, you need a big heart to do that, but really adventurous! I totally envy you! It was a great story, I feel like I jumped with you then. I dreamed of a bungy jump and a skydive and I will definitely do it before I die. Thank you for the inspiring story! The hackett was closed when we visited Macau but I will surely see that my own aerial view, soon.